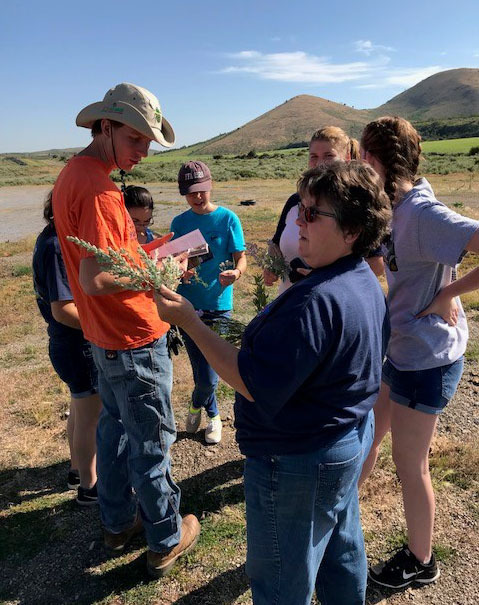 Members of the Ravenswood Future Farmers of America team won first place at the Current Environmental Topic Station at the NCF-Envirothon in Pocatello, Idaho, in late July. The current topic addressed range land management, as it did during the West Virginia Envirothon at WVU Jackson's Mill in April. With help and encouragement from the West Virginia Envirothon Committee, state Envirothon Chairman Wayne McKeever said the team's preparation for Idaho included meeting with experts, including West Virginia Wesleyan College Assistant Professor Jordge LaFantasie, who specializes in biology, ecology and soil science; Elk Conservation District Supervisor Ken Stowers and Chad Arbogast, a forestry minerals technician with the U.S. Forest Service. McKeever believes that extra help paid off with the group's station award. "I think they got some valuable information from them to use," he said. Like the West Virginia Envirothon, which features station awards for Wildlife, Forestry, Aquatics, Soils and a "Fifth Topic," which was range land management, the national NCF-Envirothon also awards station awards. 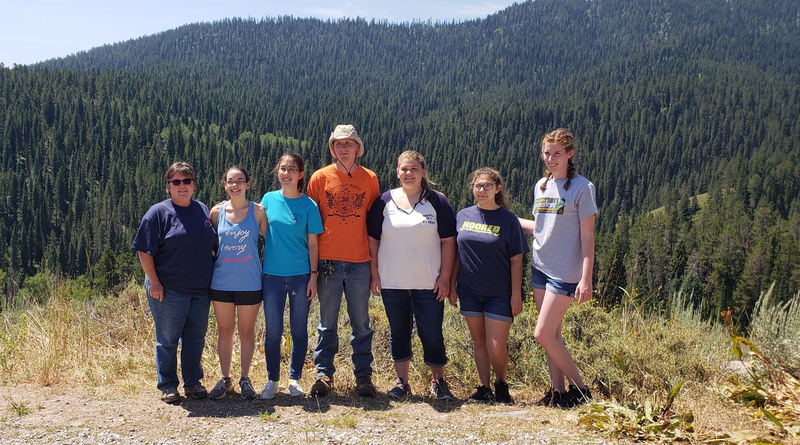 Ravenswood FFA finished 35th overall at the NCF-Envirothon, competing against teams from across the U.S., Canada and even China. The team finished first at this year's West Virginia Envirothon in April. "It was a valuable learning experience for the team," McKeever said. "I think they gained a lot of knowledge from being out here. ... They enjoyed participating, too." The land, environment and wildlife of the American West was new for the team members, as well. Next year's NCF-Envirothon will be closer to home, in North Carolina. Team members are Katlyne Rollyson, Teresa Riffle, Tiffany Miihlbach, Gabriela Martinez, and Fiona Lane. Advisers are Tara Tatalovich and Jonathan Rhodes.